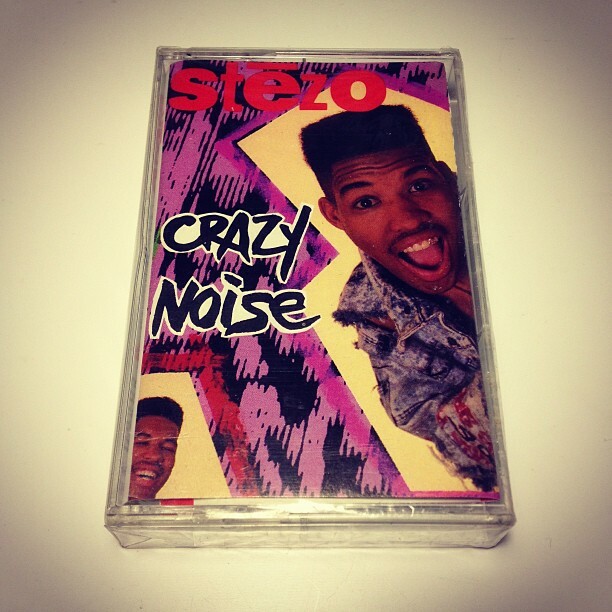 Stezo - crazy noise | Frank knows Rap Blog #3 | Written by Jazzsoon ..
Hello everyone and welcome to the third installment of the Frank Knows Rap blog. Before I get into this I would like to state that I don't know who exactly pressed what buttons, programed which beats, or produced what but I do know that Dooley O, Chris Lowe, Stezo, and the late great Paul C were all involved in this masterpiece. This record has always been mysterious to me and I try to keep it that way to a certain extent because I like to be surprised with info about this record. There's so many things that tie into "Crazy Noise." Beat heads should know this was the first record to use the Skull Snaps break. Steve Williams aka Stezo hails from New Haven Connecticut and respectively was one of EPMD's dancer's. Crazy noise was also mixed and engineered at the infamous Studio 1212 by Paul C rest in peace. Released in 1989 on the now defunct Sleeping Bag imprint with the funky party friendly single "It's My Turn" (back then party friendly meant a Skull Snaps loop, some Funkadelic, and a bit of ESG) accompanied by the super dope b side "To The Max".